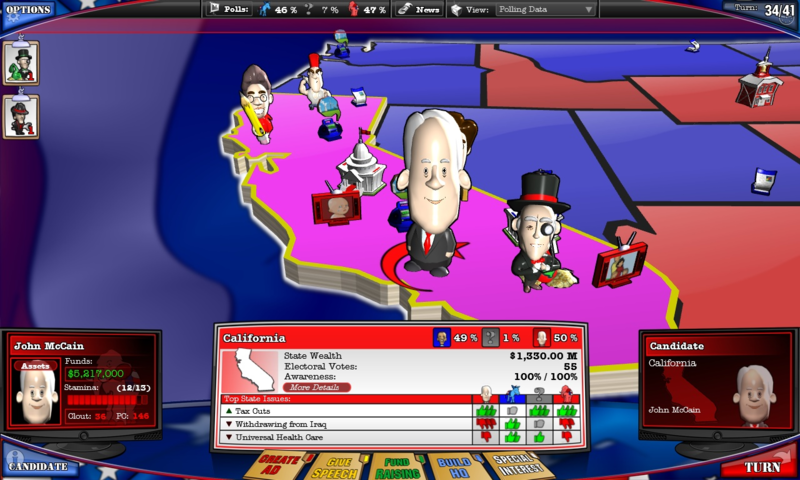 The 1.03 update for The Political Machine 2008 has been released. You can download the update via Impulse. Great update guys!!! I've gotten 15 freinds to buy copies the last few weeks!! Keep up the great work! "+ FIXED: The issues that a player has custom set for their candidate are now modified by the default party stance for the same issues. Now if a player goes through and sets every issue to a small value (1-2) the issues won't all be 1 or 2 in game, but rather these values will just be added to the default party value. 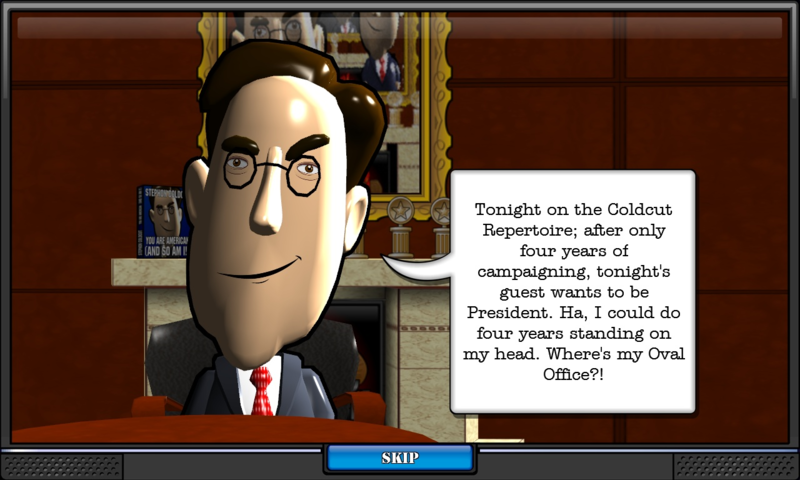 + This also fixes an issue where newly-created candidates would have no issue scores in games." 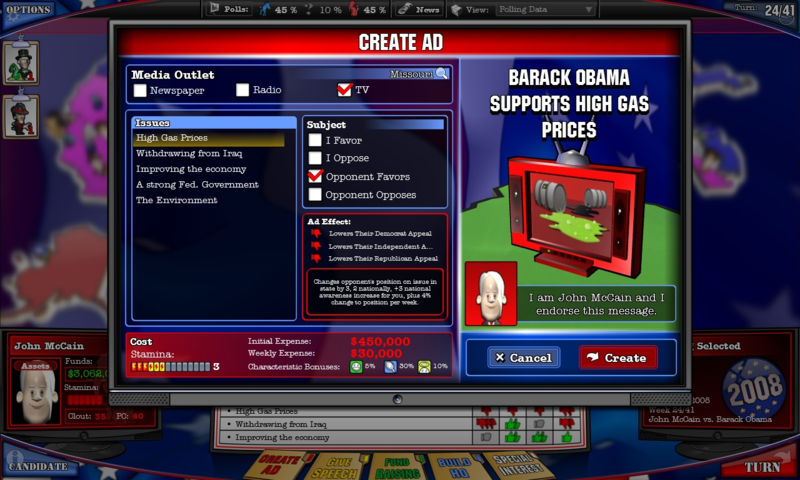 The problem I am having is that I tried to create a Democratic candidate that was against Ethanol (-5). Now (after the update) he is just slightly less excited about Ethanol than the "generic democrat." Oh well . The update does make Grant and others more competitive though, which is neat. Exactly how do I get the download? If you have Impulse installed and TPM registered it'll show as an update. I can see the update on the website, but it does not give me the option to download it. It gives me the options of 1. Forum 2. Ignore this update 3. Un-install, but the thing is I never updated in the 1st place so how could I un-install. I went into the game to see if I accidently updated it without noticing, and it still stays version 1.00 in the lower right hand side...Does anyone have any advice? It sounds like the "website" you are referring to is the Games or Updates tab of Impulse. When you select a game, in the right pane it will have the name of the game, its size, the installed version number, and the latest update date. 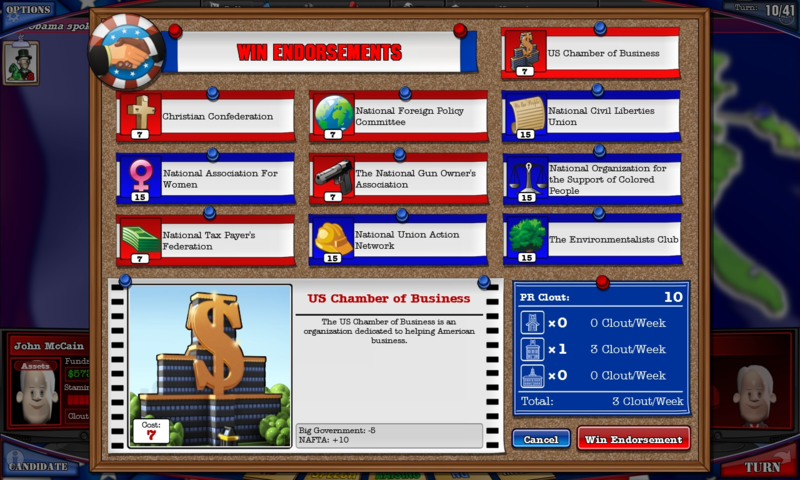 There will also be several options below that in the right pane (such as Forums, Uninstall, etc...). If you look at the bottom of the right pane, there will be two buttons. If an update is available for the game you have selected, one of the buttons will say "Update". Click it to update the game. You can also right-click a game that has an update available and select "Update".